Funny I should be working on a post about wind just as Harvey, one the US’s most destructive hurricanes on record slams into the Texas Gulf Coast. I’m in awe of storms like this; some slightly warped part of me wishes I could experience such awesome power first-hand—without, of course, suffering the consequences. Come to think of it, I have indeed experienced some pretty amazing winds in my lifetime—some even topping Harvey’s 130-mile-per-hour best. To encourage my readers and the kids in their lives to appreciate the wonder of wind, I often suggest this little exercise: find a draft-free room, light a candle and place it in a corner. Then sit down on the floor five or six yards away and blow toward the candle. You’ll wait a second or two as your breath, like a wave, rolls toward the flame and, if your aim’s any good, makes it flicker. It just shows how much like a liquid this magical, invisible, life-fueling substance we call air acts, ebbing, flowing, swirling, pouring into voids. But that’s just a parlor trick. 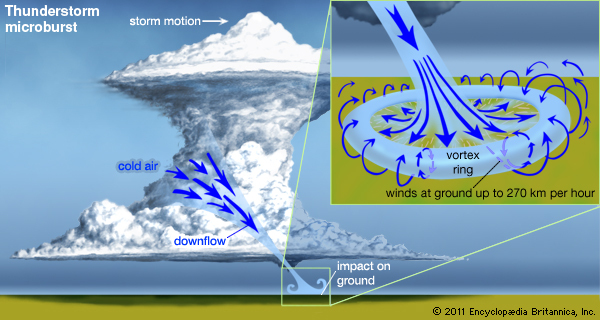 What about the real-life impact winds have on us? I once led a group of ten- and eleven-year-old boys on a climbing adventure in New Hampshire’s beautiful White Mountains. The goal: to summit a few of the “Presidentials,” a range of 5,000-plus-foot peaks named for U.S. presidents. The culmination was scaling the legendary Mt. Washington. Now, at 6,288 feet, this upstart’s no Rainier or McKinley. But it does have its own claims to fame, including its prodigious winds. Signs at the trailheads warn those unaware that climbers die on these slopes all the time, even in summer. 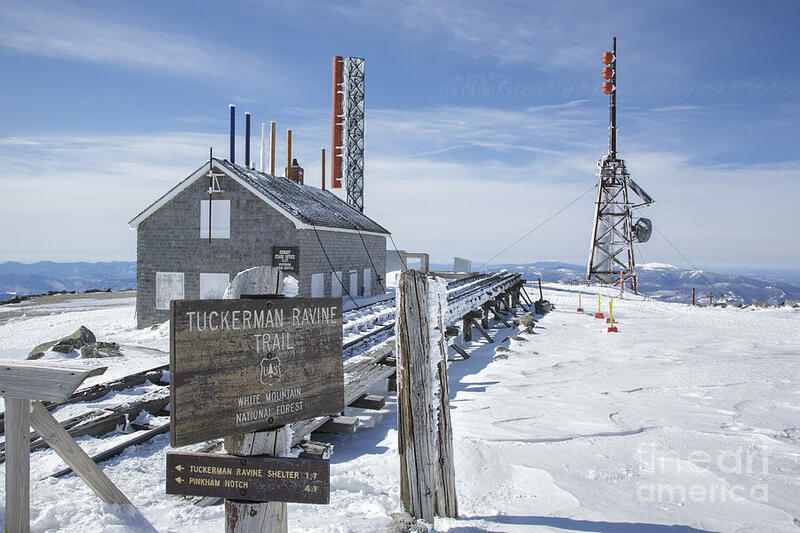 That, in the course of the four or five hours it takes to get to the top, conditions can easily change from light, 85-degree summer breezes to a 40-degree November gale. 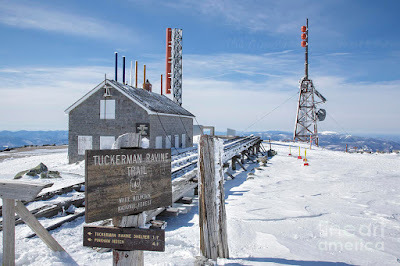 In fact, when we reached the summit we could see that the only thing keeping some of the buildings from being blown away during the worst storms were the steel cables holding them down like a load on a flat-bed truck. This unassuming peak held the record, until 2010, for the highest straight-line wind velocity ever observed on earth: 231miles per hour. The day my campers and I climbed Mt. Washington the winds only kicked up to about 50 miles per hour. But it was enough to require considerable effort—and a bit of inclination—to make any headway. It was enough to show those kids how powerful a force wind can be, as both ally and adversary. 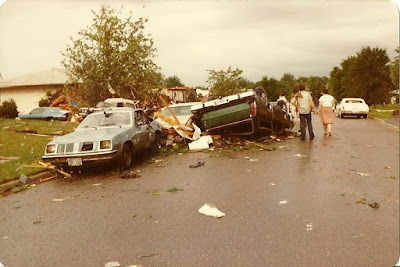 The sultry afternoon of June 14, 1981, a tornado churned from southwest to northeast across the Twin Cities Metro, generating winds approaching 200 miles per hour. I’d been repairing a window frame on the second floor of my South Minneapolis home when I first noticed the warning signs: an eerie calm and dark, greenish skies. And then the rain and hail. It was when I saw debris starting to swirl and heard that storied freight-train rumble that I knew. I grabbed my dog, a candle and matches, and the portable radio and headed for the basement. On the way down, I remember distinctly the feeling in my ears, like being inside a vacuum. It was all over in about two minutes. Thank God, my house appeared to be intact, but when I stepped outside it was a different story. My garage listed to one side, most of its shingles sucked off. The flat, tar-and-gravel roof of the next-door apartment building, complete with compressors and vent stacks, lay across my lawn. Trees and power lines were down. And one corner of the old, solid stone church on the corner lay in ruins. Ever since I was a boy, I’ve had a fascination with tornadoes. And now I could say I’d been in one. Ironically, I have yet to actually see one. My buddies and I had just begun what was supposed to be a simple, relaxing overnight paddle trip down the beautiful upper St. Croix River. Unfortunately, we got a late start, so by the time we’d loaded the canoes and pushed off the last glow of daylight was all but gone. As we pitched camp and started working on dinner, the southwest sky flickered with lightning. Big deal, I thought; what are the chances it will come our way? Well, come our way it did. We’d finished our late meal and were enjoying an after-dinner drink around the fire when it hit. The only shelter we had was our tents, which worked fine on the torrential rain, but were no match for the wind. on by 50- to 60-mile-per-hour winds, which ripped out our tent stakes, bent the aluminum poles and drove water through both fly and tent. We had to yell to be heard over the wail of those winds and explosions of thunder. Even worse, the monster stalled right over us, battering us for a good ten minutes—plenty of time to contemplate the very real danger of the trees all around us, anchored only in the loose sand, falling and crushing us, or suddenly conducting 100 million volts of electricity into us through their roots. When it was over, the only things left supporting the saturated nylon were our cowering, shivering bodies. We might as well have just sat out in the open; everything we had was soaked. Even my trusty “water-resistant” Timex watch proved no match for the pervasiveness of that incredible blast. Wind can do its dirty work in more ways than just with brute force. 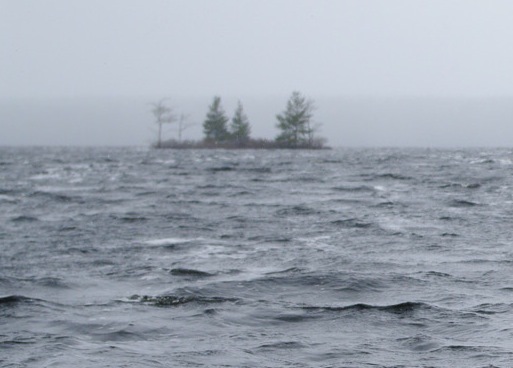 I was canoeing with seven friends across Tuscarora Lake in northern Minnesota’s incredible Boundary Waters Canoe Area Wilderness. It was a cool fall morning and the wind had started to whip up some pretty big waves for a lake of this size. But we were mostly seasoned canoeing veterans; if we followed best practices for these conditions, it was nothing we couldn’t handle. I guess the key word there is “followed,” because within ten minutes, instead of sticking together, we found our three canoes well beyond shouting distance of each other. Long story short, a couple of paddlers lost their focus. In a few seconds their canoe got caught broadside to a wave and turned turtle. Fortunately, our second canoe noticed their predicament and went to the rescue. We managed to haul the shivering canoeists and their partially baled out craft to a nearby campsite, but by this time Win, a wiry guy with no insulating fat on his frame, was showing signs of hypothermia. 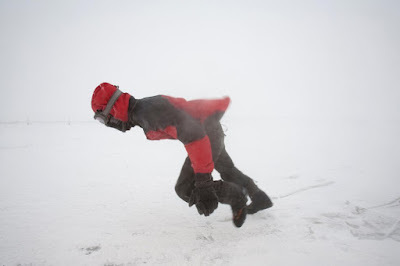 In this case, the wind had not only stirred up those challenging waves; it also fanned the cooling process, sucking the warmth out of Win’s body faster than it could produce it. Fortunately, by keeping him awake, sandwiching him between two warm bodies inside a sleeping bag, and feeding him hot liquids, we were able to avert tragedy. So, what are the most memorable scrapes you’ve had with wind? Tornadoes? Hurricanes? Sailing fiascos? Anyone ever flown through the eye of a hurricane? 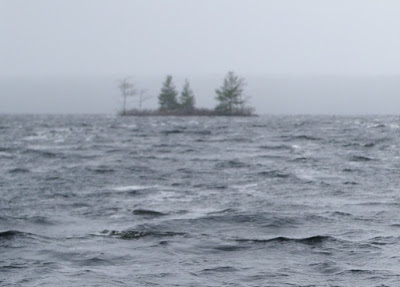 * In 1999, a sharp line of storms swept across the BWCAW, unleashing a broad, nearly continuous band of downbursts—called a derecho—flattening millions of trees like the sweep of an immense, malevolent hand. It wiped out some 40 percent all the mature trees in the million-acre protected area. Wow, Jeff, you HAVE had some experiences with wind! My worst experience was the loss of the HUGE sycamore tree, the tree I grew up with. About 30 years ago, it developed a fungus disease, as did many dogwoods and sycamores, and we were spending lots of money feeding and spraying it in a futile attempt to save it. During a hurricane which kept us busy bailing out the basement, I heard a huge crack and KNEW exactly what had happened! My beautiful tree, the tree I had shared my entire life with up to that point, had been split in half by the wind. Needless to say, my heart was broken as well, and I have written many poems about the tree and how its energy still occupies that space in the yard and in my life. A new maple grows tall in the yard not far from where my old tree stood, and I make sure to tell it how beautiful it is and how much I love it! I am like that about trees :). Jean, your memory of that old sycamore -- and the way you continue to honor it -- are beautiful. Isn't it incredible how those big old trees create a space? Not to mention their power of spirit, if one is open to it -- which you obviously are. Some times these winds turn into life threatening element.Its better to stay away from all these type of wind because don't know when will it become monster.